The Sacramento Kings are abandoning an arena that has among the fewest seats in the NBA. 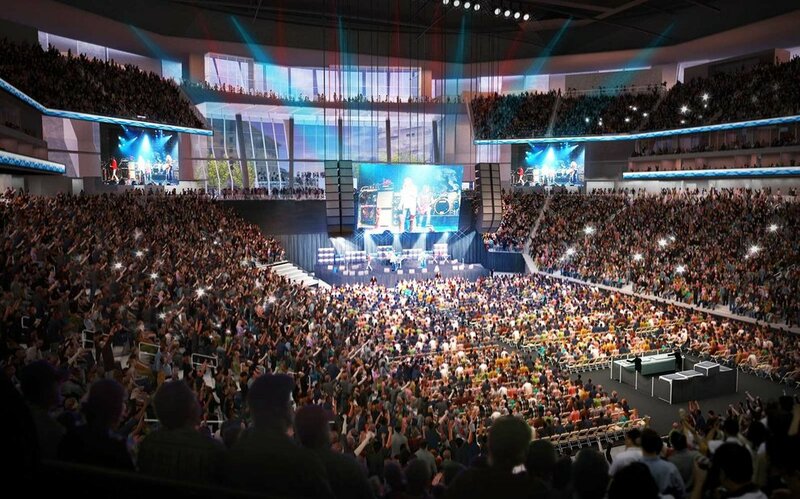 They’re building a new arena … also with fewer seats than nearly all other NBA venues. The $477 million arena at Downtown Plaza, set to begin construction later this month, will seat just 17,500 fans. That’s fewer than 200 additional seats compared to Sleep Train Arena, which is widely considered outmoded and inadequate for NBA use. The Kings’ owners say their new building will be more lucrative than Sleep Train through the magic of modern arena design. There will be far more seats in the lower bowl, translating into higher ticket prices. There will be twice as many “premium” seats, including luxury suites and lofts, which will come with VIP perks and be among the most expensive tickets in the house. Those features will more than offset the relatively small total seating capacity, team officials say. But why so few seats? The designers are following a less-is-more revolution taking place in sports economics. Spacious arenas with 20,000-plus seats are giving way to cozier buildings that, paradoxically, can generate as much, if not more, profit than the big-box facilities. It’s no coincidence that the newest NBA arena, the 2-year-old Barclays Center in Brooklyn, has a capacity of just 17,732. The beauty of smaller arenas is that they produce more consistent sellouts. Granger said that’s what often drives season ticket sales: the fear of not being able to get a seat. 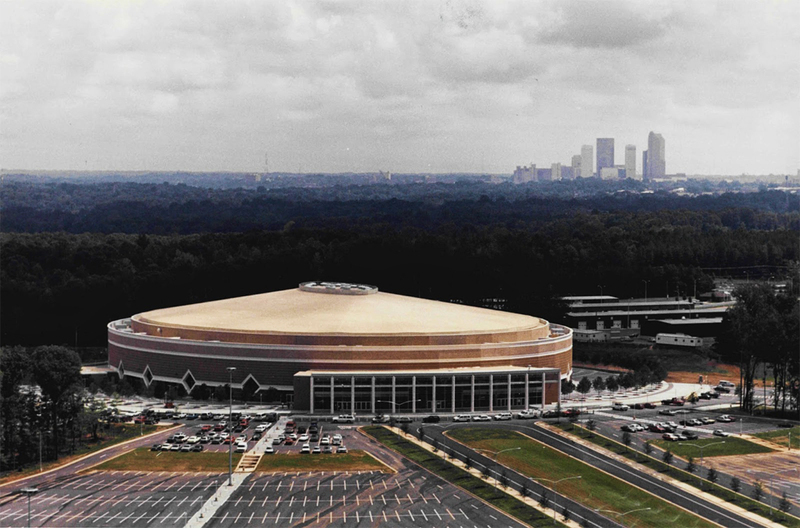 The largest home arena in the NBA built for just the NBA was the Charlotte Coliseum, that was home to the Charlotte Hornets. It was home to the Charlotte Hornets 1988–2002 and Charlotte Bobcats (now re-branded Hornets) 2004-2005. Even if they have to do it without Steve Ballmer’s billions, backers of bringing a National Basketball Association team to Seattle have not said anything about giving up. Ballmer is the wealthiest member of a group led by San Francisco investor Chris Hansen — the group also includes Blake and Pete Nordstrom and Wally Walker — that has been buying land and working toward building an arena in Seattle’s Sodo area for professional basketball and hockey. Even without Ballmer, Robinson said he has received assurances from other members of the ownership group that they will press ahead with seeking an NBA team for Seattle. In fact, if the former Microsoft CEO does succeed in buying the Clippers, Robinson said, that could have a silver lining for Seattle.